The New York Giants and Baltimore Ravens are going to let two of their best players hit the free-agent market. 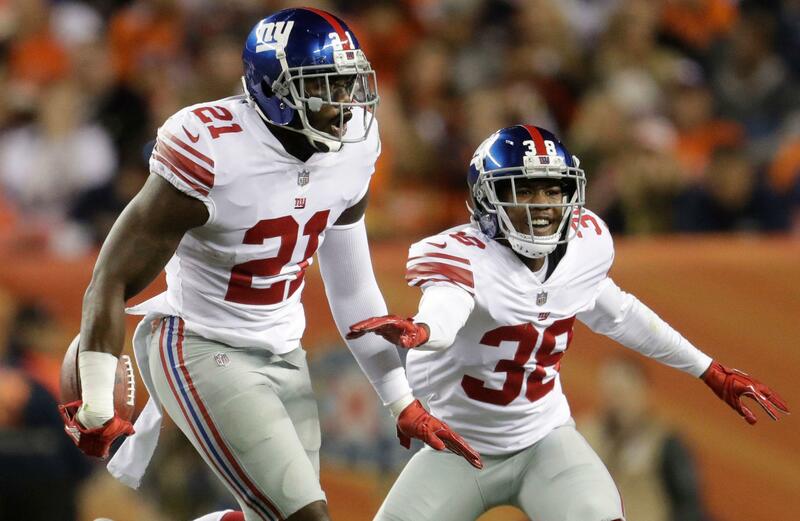 Safety Landon Collins and linebacker C.J. Mosley are not expected to receive franchise tags. Batter up: Join or create a 2019 Yahoo Fantasy Baseball league for free today] In Collins&apos; case, the Giants are reportedly hesitant to commit $11.5 million to a safety, according to NFL.com. Peyton Manning and the Denver Broncos dismantled the defending Super Bowl champion Baltimore Ravens in the season opener. Then they delivered a convincing victory on the road against Manning's younger brother and the rest of the New York Giants. COMMENTARY | The AFC West was all but handed to the Denver Broncos before the 2013 NFL season even began. After a dominant 2-0 start (convincing wins against the Baltimore Ravens and New York Giants), most are still willing to appoint Peyton Manning and Co. the paper champions of the division -- and rightfully so.